If you own a truck or SUV, you have a liftgate. Liftgates are just a fancy term used to call the door or hatch that protects your cargo from falling out onto the road. However, since many 4×4 owners utilize their liftgates much more often than one would a trunk, many liftgates over time require maintenance. It should be noted that on many 4×4 trucks and SUV’s, your liftgate exterior might be heavy duty, but the inner workings such as the latch may be the same materials made on the manufacturer’s compact car. This means that with wear and tear, one of the main problems that occur with 4×4 owners is the locking or latching mechanism breaking down. It only takes a few 2×4 pieces of wood to slam into your liftgate to cause major shock to a locking or latching mechanism. You will know you broke something when you hear a piece of plastic or metal rattling around your liftgate when you shake it or hit a bump. If you broke your latch or key mechanism, most 4×4 manufacturers sell the part to fix it. You will be happy to know it is usually under $10 and it’s so cheap due to the fact that it is used on practically all of their doors. If you use your liftgate very often carrying heavy loads, you might want replace the liftgate with a heavy duty replacement or even a rubber netting that requires no key and can be easily installed or removed. There are plenty of after market options when it comes to liftgates and for most truck owners customizing a liftgate can add style to your vehicle. One of the most functional and practical vehicles for driving the family around- especially if you have a large family is the SUV. The SUV exploded onto the scene due to its large amount of cargo space, seating area and many amenities that make traveling with your family convenient and comfortable. For those now buying an SUV, looking for a vehicle specifically for family transportation, here are some tips on the best features and vehicles to look at. Seating is quite important when purchasing a people mover and many SUV’s make it easy to carry your entire family in comfort by offering plenty of seating. Many SUV’s easily have space for 5, however for larger families, you probably will need more space, this is why you should definitely look for 3 row seating. With 3 rows of seating, you can fit 7 comfortably in your vehicle, more than enough for the average family of 5, plus 2 friends or grand parents. 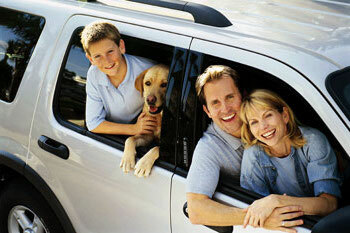 Some SUV’s even offer seating for more, as they are able to turn cargo space into seats for more passengers. This usually gives you seating for 9. While not on every SUV and definitely not on SUV’s that are compact or mid-size for larger SUV’s this feature does exist. Now that you have seating for everyone, make your trip more comfortable with a few entertainment options. Some of the most popular options include an entertainment center with fold down DVD screening, small LCD screens built in seats to view DVD’s or for gaming and don’t forget GPS navigation systems so you don’t lose your way with your whole family in the back. 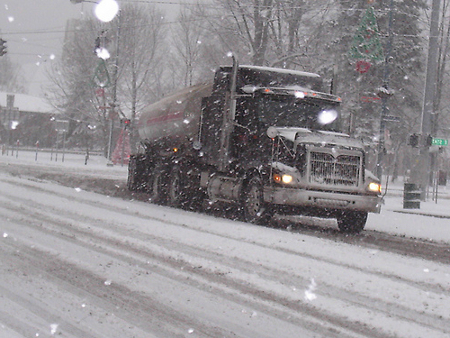 Many people purchase trucks, SUV’s and Jeeps specifically for bad weather driving. For those that live in the colder climates where there is plenty of snow during the winter months, having a 4×4 can definitely help you get the kids to school, you to work, etc. Here are some tips on driving in bad weather. You can’t get great performance out of your vehicle, if it is not in tip top shape. This is why it is very important no matter what season it is to have your vehicle always in good working condition. For bad weather, make especially sure to check the tires for tread, check the wiper blades to make sure they are not dried out and worn and the lights to make sure they are all working properly. If you live in the mountain areas or in places that get plenty of snow, you probably have had some experience with tire chains in the past. While tire chains are a great accessory, older types can be a pain to install and can wear out or break easily. Today, with better design and materials, you can purchase tire chains for your vehicle that are very easy to install and work very well. Before the winter season begins, make sure you prep your vehicle for the coming bad weather conditions. This includes putting a small fold up snow shovel in the back- to dig out of any snow drifts your car may find itself in, a first aid kit, a bag of sand to give you better traction on the ice and a blanket- in the case you get stuck in the cold for a few hours. Tires are one of the most important components that your Truck requires. Obviously, tires are the only thing making contact from your vehicle to your road, but beyond this, you and your family’s lives depend on quality tires. If your tire is damaged or worn out and you are looking to replace it, here are just a few tips to make sure you get plenty of performance and safety out of your new tires. First off, if you need to replace a tire on your truck, you shouldn’t just go out and find the cheapest tire on sale. Do some shopping and look to buy a tire that is exactly the same or look to purchase a tire that is superior to the tire that has become worn or damage. 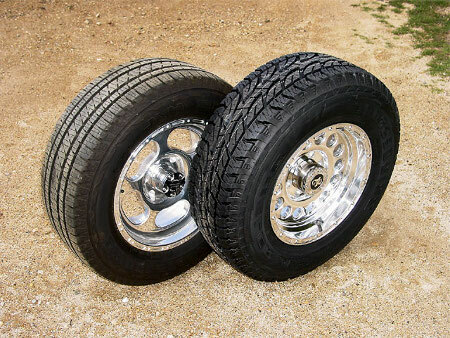 If your require two or more tires, you may want to purchase all 4 tires at once. This strategy will usually give you the best ride possible and since all tires will be new at the same time, you can easily maintain them without worry. Just like cars, looking for tires with proper speed ratings is crucial. If you have a Jeep or SUV that you drive on the highway and hit high speeds on, make sure that your tires can handle the heat and friction of these top speeds. While most tires are made for speeds in excess of 75 mph, it is a good idea to make sure your tires can handle a little bit more than this top speed. Regarding safety ratings, make sure that your new tire or set of tires can handle the weight load of your truck. Since many trucks can be hauling thousands of pounds, weight consideration is crucial. Some of the most popular vehicles purchased in this country are trucks. Trucks are great for a number of reasons, but one of the best things they have going for them is their versatility. Trucks allow their drivers to use them for going camping, hauling home improvement products, moving furniture, and an almost unlimited list of other uses. Sometimes though, a truck isn’t completely equipped for the job that the owner would like to undertake. At times like this the owner can elect to either not perform that project, or instead purchase one of the many accessories that are made to help a truck perform better. Here are five truck accessories that every truck owner should own. One of the best and most popular accessories to hit the truck market in recent years is the locking tonneau cover. The two major drawbacks that a truck has is that the bed can cause it to have poor aerodynamics and that items left in the bed are hard to secure and protect from theft. A locking tonneau cover solves both those problems and comes with a third benefit all its own, it gives the truck a sleek and modern look to it. A locking tonneau cover seals the entire bed of the truck and does so securely with only the key holder being able to gain access, this ensures that all belongings kept in the bed of the truck remain right where the owner intends them to. The tonneau cover also seals off the bed to the point that air will now flow right across the cover instead of down into the bed, and this improves the aerodynamics of the truck enough that it can be noticed in the gas mileage. Sooner or later, it doesn’t matter what size truck is owned, ever truck owner wishes the cargo capacity of their truck was a little bit more than it actually is. Bed extenders are made from heavy duty aluminum alloy and attaches to the truck in a manner that allows maximum storage capacity to be had while the tailgate of the truck remains in the down position. Bed extenders are a blessing as they allow a driver to transport items securely in the bed of the truck while the tailgate is down, adding an extra foot or two in length of overall storage space. The absolute number one thing that any truck owner should have is a bed liner. A bed liner makes so much sense for so many reasons. Whether hauling bark, gravel, a motorcycle or ATV, or anything else, a quality bed liner protects the truck bed from unnecessary scratches, dents and other damage. The material that the bed liner is made of causes a lot less friction between it and what is being hauled than the metal finish on the truck bed itself would. For this reason a bed liner also makes loading and unloading a number of items relatively easy. On top of the useful reasons for having a quality bed liner installed is one more reason, trucks with bed liners look very sharp. Whether for productive reasons or appearances sake, it just makes sense to have a quality bed liner installed on any truck. Another aspect of a truck that sometimes means it is not perfect for the job is that though it is designed perfectly for hauling large items or large loads of small items, it isn’t ideally designed to haul small items. 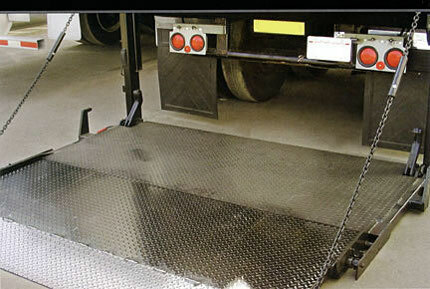 A cargo divider is a temporary accessory that can be stretched across the bed of the truck so that smaller items don’t bounce around or slide from the front of the bed to the rear. A cargo divider in a sense sections off the bed into one larger storage compartment and one smaller storage compartment. In this way, smaller items like tools or grocery bags can be put into the smaller section near the cab and the cargo divider prevents them from sliding the length of the bed into the tailgate. A cargo divider has a way of earning its value back by protecting items that could be ruined if they were left to slide around in the bed. While it isn’t the most glamorous accessory that a truck owner can purchase, an emergency kit may just be the most important. While driving to and from work, or even on a vacation, there are times when the unexpected things happens on the roads and often drivers aren’t ready for them when they occur. A quality emergency kit will contain some basic tools like a screwdriver and wrench, possibly some jumper cables, a flashlight with extra batteries, a roll of electrical tape, bungy cords, and more. Having an emergency kit along on a trip can often mean the difference between being prepared for the unthinkable and falling victim to something that didn’t have to be a serious situation had the driver been better prepared. While trucks are indeed some of the most versatile and useful vehicles made, there are many times that one of the many accessories available on the market might make it much easier or more convenient to get a specific task or job done. Truck owners are lucky in that there are many different accessories on the market, it seems like one is made for every job out there. That being said, some of the best accessories are the ones that help make the bed of the truck a better storage and hauling device, not to mention any accessory that makes the vehicle itself safer for its occupants to ride in. 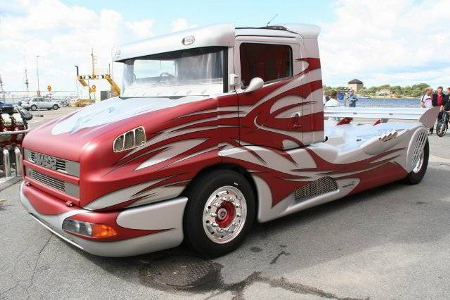 Remember to check Dutch Tuning to learn a bit more about Truck Tuning.